Reverse Parking Detector no drilling!! 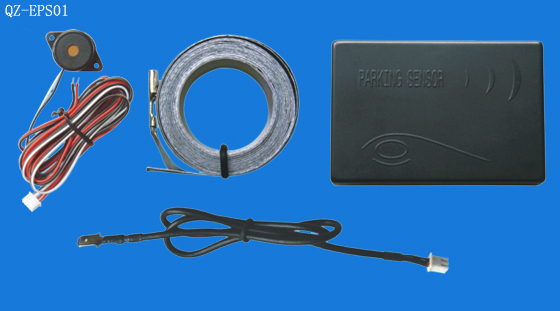 This Electromagnetic Parking Sensor (EPS) system is comprised of control module, strip aluminium sensor and acoustic alert unit. It is totally concealed by sticking the strip sensor on the inner surface of the bumper. The installation does not change appearance of the bumper while provides total protection to the back of the vehicle without any blind spots close the bumper. 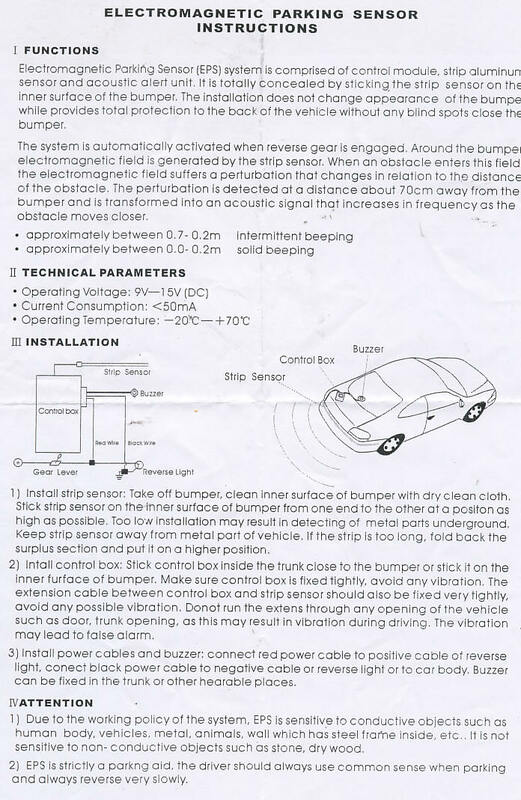 The system is automatically activated when reverse gear is engaged. Around the bumper electromagnetic field is generated by the strip sensor. 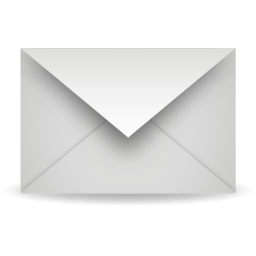 When an obstacle enters this field, the electromagnetic field suffers a perturbation that changes in relation to the distance of the obstacle. The perturbation is detected at a distance about eighty centimetres away from the bumper and is transformed into an acoustic signal that increases in frequency as the obstacle moves closer.